The other day a friend of mine brought up how she had fallen in love with what she called refrigerator oatmeal and that it was the best thing ever and so with that I had to try it. She said it was super easy to make and so I had to try it, it is made in the refrigerator but its overnight and no cooking required. 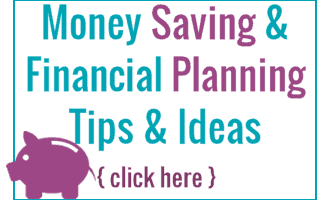 It is so easy to make and when you try it you are going to be wishing you had tried it sooner. In a mason jar or a container that you can put a lid on that will be able to be shut and air tight. Put in the oats, then the milk and yogurt. Shake (if using a mason jar) or stir well (if using a container). Then add in the blueberries and stir again. Put the lid on and then put them in the fridge until morning (about 8-10 hours). Take out and enjoy! This looks so good. I think my favorite overnight oatmeal is with applesauce and cinnamon. 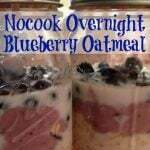 Thanks so much for sharing your awesome Overnight Blueberry Oatmeal with us at Full Plate Thursday. Hope you have a great week and come back soon!